New York City manager Nigel Worthington says the side need to be more "ruthless" if they are to pull away from relegation danger. The 51-year-old former Northern Ireland boss took over at Bootham Crescent on Monday after the sacking of Gary Mills. The Minstermen have not won since New Year's Day and have scored just six goals in 11 games. "I just think we've got to be a bit more ruthless in our approach to the game," Worthington told BBC Radio York. "I was very pleased with what I saw in my first training session. They applied themselves very, very well. "I look at the group of players that we've got and I look at the position we're in and I think 'why?'" York's poor run of form has seen them drop from 14th to 18th in League Two and they are now just four points above the bottom two. 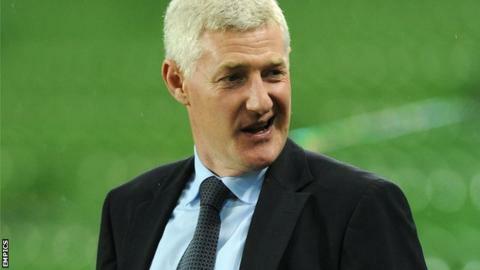 Worthington has been out of work since leaving his position as Northern Ireland coach in October 2011. No one in the Football League has drawn as many games as York City this season - the Minstermen have finished level in 16 of their 36 matches. The ex-Blackpool and Norwich manager is confident he can help the club preserve their Football League status despite not having a great knowledge of the division. "I thought I had a lot in common with the chairman here and there is something to build on," he added. "The first thing is to get past 50 or 51 points to ensure League Two football next season. "I haven't seen a lot of games at this level in recent times but football is football and I know what is required." Worthington will take charge of his first match when York travel to bottom-of-the-table AFC Wimbledon on Saturday.